In the South the weather can be deadly, but it can also be surprisingly courteous. 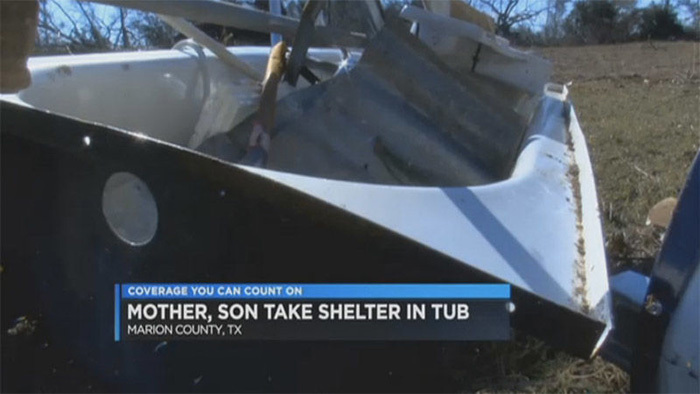 An elderly Texas woman and her son went for a once-in-a-lifetime ride when a tornado picked up the bathtub they were hiding in, spun it in the air, and put them back down in the woods without injury. 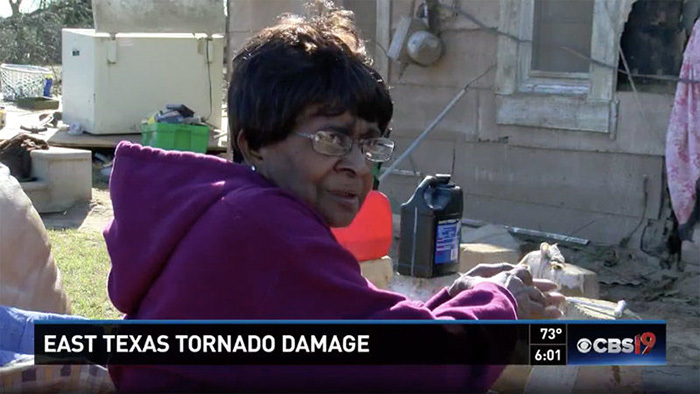 75-year-old Charlesetta Williams was watching television with her son on Saturday when the twister approached her home. They raced to the bathroom and hid under a blanket in the tub for shelter, a choice that proved to be wise. Williams says she feels blessed to be alive.